Codemasters announced today that ONRUSH will have an Open Beta event between Thursday, May 17th at 2 PM BST and Monday, May 21st at 10 AM BST on both PlayStation 4 and Xbox One. PS4 gamers who have already pre-ordered the title digitally will be able to start playing well ahead on the pack, though, from Tuesday, May 15th. The Open Beta includes the multiplayer mode as well as a ‘Superstar Practice’ mode which can be enjoyed solo or cooperatively against AI rivals. When playing solo, the Photo Mode will also be available to take the best snapshots of the action via the reportedly extensive editing tools. When playing the multiplayer mode, on the other hand, players can level up during the beta to unlock rewards for the final game such as Tombstones and Crashtags. 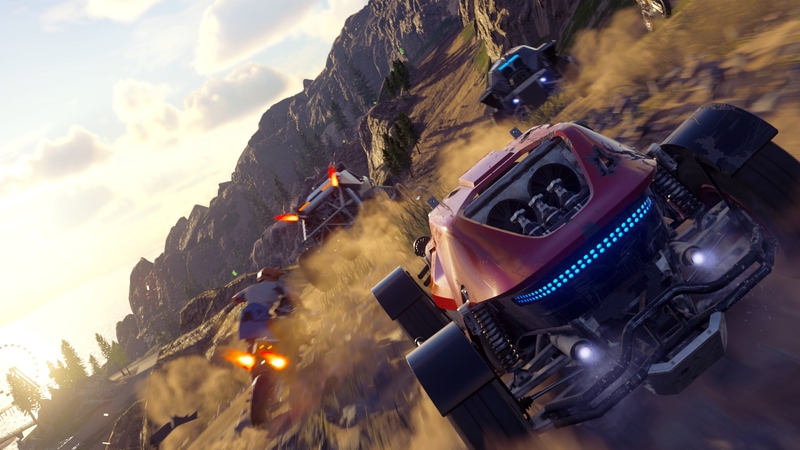 Below you can find the full extent of tracks, modes and vehicles available in this ONRUSH Open Beta event; the game is due to hit PlayStation 4 and Xbox One on June 5th, with a PC version coming at a later date. While you wait to play the game yourself, check our hands-on preview.